You’re one of the lucky individuals who the new owners kept on. So, you keep doing what you do best, work hard, and contribute to the company’s success. One fateful day, about a year after the new owners took over, restructuring happens. You’re let go without cause, and the company gives you only two weeks’ pay. You’ve heard of something called ‘common law reasonable notice’, and have a feeling you’re owed more than what your new boss offered you. Luckily you haven’t signed the termination package offered to you, and contacted Monkhouse Law to represent you. In situations where an employer sells their business, employees are provided protection under the Employment Standards Act,2000. Pursuant to s.9(1) of the ESA the employee’s tenure is deemed to have rolled over from his/her years of service with their initial employer. This will give you a longer notice period if you are terminated, and therefore greater termination pay. This principle was recently reaffirmed in Ariss v NORR Limited Architects & Engineers, 2018 ONSC 620. John Ariss’ employer, DTM, sold its business to NORR. Upon the sale, DTM terminated Mr. Ariss’ employment, and shortly thereafter NORR offered him employment. NORR subsequently dismissed Mr. Ariss and provided him termination pay only on account of his length of service with Ariss, but not with DTM. NORR contended that since DTM terminated Ariss’ employment prior to his work with NORR, that there was a break in employment, and therefore his years of service with DTM should not be recognized. Justice Corthorn found otherwise. She stated that “In the absence of notice from NORR that Ariss would not be credited for his years of service with DTM, recognition of that service is deemed to be part of Ariss’ contract of employment with NORR.” Despite being terminated by DTM, and re-hired by NORR, Justice Corthorn found that Ariss’ employment was continued. Her statement indicates that if a purchasing employer fails to give express notice to employees that they intend to not give credit to previous years of service, past service will count towards calculating their notice period. 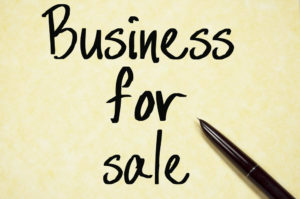 This statement seems to leave open the possibility that, in the context of the sale of a business, an employer can give express notice that past service with the acquired business will not be recognized. Time will tell if and how the courts expand upon the principles set out in the Ariss case. If you find yourself in a situation where your employer sells its business, it is best to contact an employment lawyer.